If you want a movie star smile, our cosmetic dentist at The Lewisville Dentist can explain cosmetic dentistry options for achieving the sensational smile you desire. 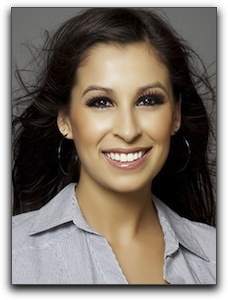 To book a private consultation for a smile makeover, call 214-488-5505 today. We have helped many people in the 75067 zip code area achieve the smile they have always wanted. Whether you have damaged teeth, aging enamel, or teeth that need aligning or whitening, our dentist can address your problem areas, provide you with an overall esthetic assessment, and discuss your specific concerns. A smile makeover in Lewisville typically involves two or more procedures, which may include: Porcelain veneers, tooth implants, sculpting of gums, and teeth whitening or teeth bleaching. When we redesign a smile, the teeth are treated as an integral element of the patient’s face. The lips, gums, mouth, facial structure, patient’s age, and coloring are all taken into consideration. This unified approach to cosmetic dentistry has helped The Lewisville Dentist establish and maintain a stellar reputation in the professional dental community in and around Lewisville TX. Our cosmetic dentist has years of experience in dental implants and sedation dentistry, helping patients leave our office with more confidence and a smile they are proud to show off.